The Brockington Hall Inn is a cozy little inn situated amongst Savannah’s most historic and stately residences. We are within walking distance of many of the city’s most famous attractions and its lively atmosphere. Brockington Hall has two suites: the Inn and the Cottage; each has its own cozy ambiance so guests can explore the splendor of Savannah with all of the comforts of home. Redone in 2011, the Inn now offers a living room, separate bedroom, eat-in kitchen, and a private entrance. The Inn Suite has wireless Internet access, cable TV service, and its own security system. You will have free use of Brockington Hall’s shared laundry facility, off-street parking for one vehicle, and maid service after a two-night’s stay. 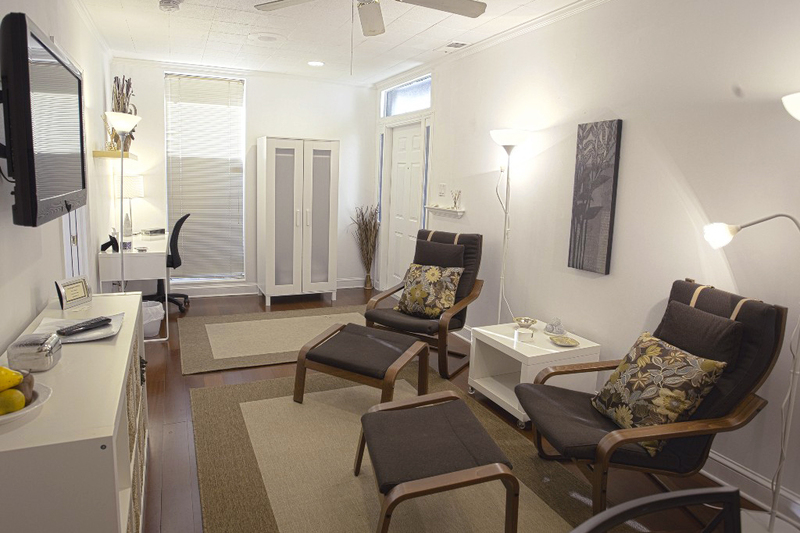 Our second suite is privately-located in a separate structure, and decorated in a modern style. There’s a large living room/dining room combination, kitchen, cozy bedroom, and a well appointed bath. 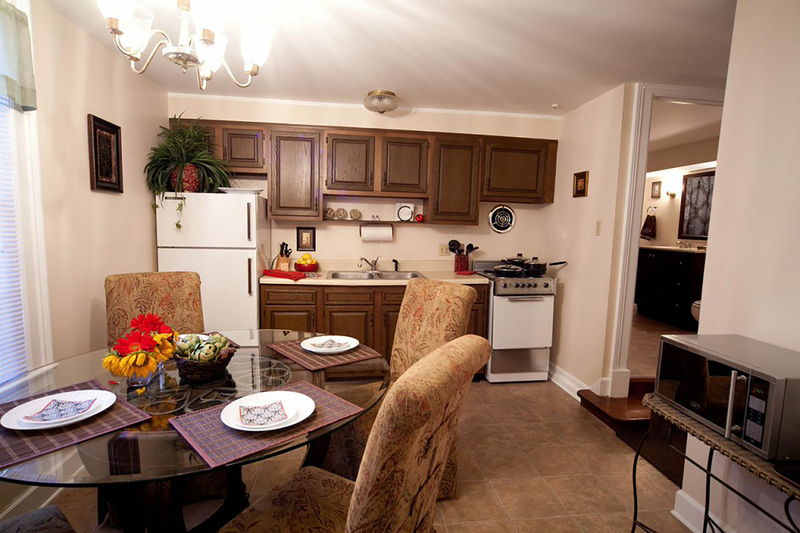 The kitchen is fully-equipped with dishwasher, microwave, toaster oven, and blender. It has access to a small shared courtyard and a shared laundry room.